There are those amongst us in the poker world who have achieved such greatness that recognition is proper and highly deserved. 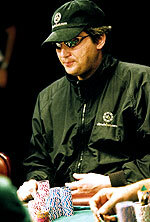 Phil Hellmuth Jr. first distinguished himself in 1989 when he was only 24 years old and won the World Series of Poker and the coveted gold bracelet, making him the youngest winner of the main event. Another amazing feat of his during that same tournament was defeating the two-time defending WSOP champion, the seasoned and skillful Johnny Chan. Phil has been at the final table of World Series of Poker events more than 35 times, with his most recent WSOP win being the 2003 USD 3,000 buy-in no-limit hold’em event. In it, he won his record-tying ninth gold bracelet, pummeling 397 other players to seize the title for a respectable USD 410,860 in first-place prize money. He and T.J. hold the record for the most final tables, whereas Phil and Berry Johnston have the most WSOP cash-outs, somewhere around 45 each. In 2003, Phil won three big events: Omaha eight-or-better at the L.A. Poker Classic, and limit hold’em and no-limit hold’em at the World Series of Poker. He also took third in the no-limit hold’em championship event at both the United States Poker Championship at Trump Taj Mahal and the World Poker Finals at Foxwoods, third in pot-limit Omaha and sixth in limit hold’em at the WSOP, fourth in pot-limit Omaha at the Festa al Lago at Bellagio, and seventh in no-limit hold’em at the Four Queens Classic. On the World Poker Tour, he placed third in Aruba and at Foxwoods, fourth at Lucky Chances, eighth at The Bicycle Casino, 10th at the World Poker Open in Tunica, Mississippi, 14th in Costa Rica, and 19th in the World Poker Tour Championship at Bellagio in Las Vegas. Phil has won so many tournaments in so many places that he literally cannot remember all of them. In 1995, he won the Hall of Fame Poker Classic championship; he has four additional Hall of Fame victories, giving him the most Hall of Fame wins; he was the 2000 Poker EM winner, which is the European Poker Championship, in Vienna; and he was the 2000 Late Night Poker III winner in Cardiff, Wales. Phil is probably one of the most talked about characters in the poker world, because of his flamboyant, thespian, over-dramatic style. As Phil puts it, 95 percent of the time he is a perfect gentleman, fun to play with, and relaxed. Then, there is the rest of the time. Because his histrionics have often been caught on film, he is also one of those players about whom everyone has an opinion. One moment, you might see his 6-foot-5-inch body dramatically sprawled out on the floor of a World Poker Tour TV set, kicking his feet and bemoaning a bad beat like a child having a temper tantrum; on the other hand, you might catch him graciously signing autographs, shaking fans‘ hands with sincerity, or buying Dom Perignon champagne for everyone at his dinner table. That’s what happens when a kid makes history by winning the World Series of Poker at the tender age of 24. Phil invited me to ask him whatever I wanted; of course, I asked about his behavior when he falls on the ground or acts like a crybaby. To his credit, he opened himself up in a way I have never heard or read about before. He said that it is good for him to talk about his bad behavior. In Atlantic City, when he unexpectedly lost a hand after making a great read, he got so upset that he dramatically threw himself onto the floor, a somewhat familiar sight for this poker luminary. He admits that sometimes he is a crybaby. He explains that it depends upon what mood he is in. Sometimes when he takes a bad beat, he calmly says nice hand. In a perfect world, that is the way he would like to behave. The key for Phil is to meditate on how blessed he is before the tournament. When he is focused on what really matters, he becomes mindful of the fact that he has what is most important good health. He has a beautiful wife whom he is crazy about, and wonderful kids with perfect health. When he meditates, he gets in touch with the way his life is blessed, and he instantly becomes calm and focused. He sees health, love, a wonderful, supportive family, fame, wealth, and all the other ways his life has reached excellence. He spoke about his bad behavior in a very insightful way. „It’s all about self-esteem; I had very low self-esteem as a kid growing up, and probably a mild form of attention-deficit disorder. It was difficult to get good grades. I was the oldest of five kids. My dad was a university assistant dean, with an M.B.A., Ph.D., and J.D. Growing up, I was never good enough.“ Phil went on to explain that while growing up, he had a terrible case of warts on his hands, which made him so self-conscious that he wrote with his palm facing upward so that his warts would not show. Then, he developed a terrible case of acne, which plagued him until he was about 35. He was uncomfortable with himself as a person. He was a disappointment to his intellectual father, his warts were humiliating, and his acne made him awkward and self-conscious. Being the oldest of five, there were certain expectations that he never met. Years of being uncomfortable with himself took its toll on him, leaving vestiges of an inner struggle. Phil wants to be a better person and works on that aspect of his personality. He added, „If I play poker for 50 hours, you’ll love me for 49 of those hours! When I lose it, I look like a jerk, until I see one of my friends laughing at me.“ He explains that when he gets that dose of reality, the good levity puts him back in his place. Phil stumbled upon poker in his college days. One night, he was playing basketball with his college buddies. At the end of the game, one of the players said he couldn’t decide whether to go home for dinner or play poker. He told Phil about a campus game at the Memorial Union. They played no-limit hold’em with a $ 20 buy-in. After beating the game regularly, Phil found a bigger game on campus. This game had a USD 100 buy-in. The game consisted of a psychiatrist, three professors, a lawyer, a doctor, some others, and 20-year-old Phil. What an ego rush he experienced when he beat them all. In no time, he paid off his college loans and amassed USD 20,000. He was on top of the world. For a college kid, it was amazing to have his college loans paid off, let alone having a chunk of cash in the bank. Phil then decided to venture out to Las Vegas. He walked into the Dunes poker room, and instantly saw „Kojak“, Telly Savalas, sitting at a $ 30-$ 60 table. There was a seat open next to him, so Phil immediately sat down. He was used to the college game, where he played until he won everyone’s money. In this game, he played for 72 hours straight. In Wisconsin, he played while he was fresh, and never left an ongoing game. He didn’t know you were supposed to quit at some point. He was used to being the best player, but after 72 hours in this stud eight-or-better game, which he’d never played before in his life, he left the game stunned, with his spirit broken, after sustaining a huge loss. As a matter of fact, during his next 10 trips to Vegas, he lost consistently. He didn’t always lose in poker, but he found all the other games. He loved baccarat, craps, and blackjack. After those 10 trips, Phil was broke. He lost every penny of his USD 20,000. Phil went crawling back to the college game, where he won consistently. Eventually, he was to try his hand in Vegas again. This time, he left as a huge winner, to the tune of about USD 10,000. It almost felt awkward winning, since he was used to the losing streak in Vegas. Then, he made the decision to drop out of college to play poker professionally. On Easter Sunday in 1988 at the Reno Hilton, Phil won his first poker tournament ever. The game was no-limit hold’em, and he still has that trophy! Later in 1988, he played in his first WSOP. He had the chip lead until someone unknown to Phil came to table. It was the dreaded Johnny Chan. There were four tables left. Phil tried to bluff Johnny, which turned out to be an unwise and expensive move. A few hands later, Chan had J-J and Phil had 10-10. Phil didn’t know exactly what to do. When the dust settled, Chan had busted Phil, who came in 33rd in his first WSOP and won USD 7,500. In August of 1988, Phil went to L.A. to play in the Legends of Poker tournament. He entered the USD 1,000 buy-in (with rebuys) no-limit hold’em event. After the rebuys, he had USD 300 in his pocket and no credit. If he lost, he would have had just enough money to get home. Instead, he played until he was heads up with Erik Seidel; they made a deal in which Phil received the lion’s share, but then Erik went on to win it. This made Phil all the more hungry for a win. The very next day, he played his heart out in the USD 5,000 buy-in main event. He found himself at the final table with Jack Keller, Glenn Abney, Johnny Chan, and T.J. Cloutier. Jack wanted to make a deal. He said, „Son, you’re green.“ Phil politely said, „Mr. Keller, I don’t want to make a deal.“ That night, Phil busted them all and left with the trophy and USD 145,000. In two days, he went from nearly having to go home with just enough to cover his traveling expenses to winning USD 222,000. Phil’s dad was an intellectual who had high aspirations for his first-born. Playing poker was clearly not one of the preferred vocations. With his degrees, education, and profession, Phil’s dad was devastated that his son dropped out of college to play poker. All that talent was wasted. Phil began flying around the country to different tournaments, and told his dad he would like to fly him anywhere to watch, but his dad only wanted to watch his son play poker at the WSOP. Phil said no over and over again, because he knew he would be so distracted that he would have no time for his dad. His dad told Phil he was going to win and he wanted to be there, and Phil reluctantly agreed. After winning with the now-famous pair of nines against poker great Johnny Chan, Phil searched the crowd for his dad. That was the one person with whom he wanted to share this moment of fame. „The minute after I’d won, my hands were up in the air; that was the best moment of my life, until I got married and had kids. My arms shot up in the air, and within a few seconds I started scanning the room. There was my father running up the aisle, but remember, there was more than a million dollars on the poker table, so the security guard abruptly stopped him. I was yelling, ‚No, no, it’s OK; it’s my dad, let him through!‘ I waved my father through and gave him a big hug, and that moment is forever in my mind. The people I respect most have solid values, like Erik Seidel. His reputation is flawless; he is always a gentleman; he is a great poker player; and he is a family man. What Makes Phil a Winner? I asked Phil whether he considers himself one of the best poker players alive. „Let me see if I can politely dance around this. There are those who consider me the best poker tournament player in the world, but for those who don’t, there is T.J. Cloutier, Johnny Chan, Erik Seidel, Men the Master, and, of course, the great Doyle Brunson and Chip Reese. I’m not the only one at the top of the poker world. Hall of Fame inductee Amarillo Slim Preston says: „Phil’s new book Play Poker Like the Pros is the best poker strategy book ever written.“ Poker legend Doyle „Texas Dolly“ Brunson says: „From the moment I first played poker with Phil, I knew that I was witnessing something special.“ Phil has already signed more than 2,000 copies of his new book. 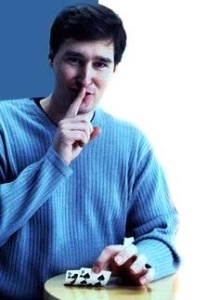 Bob Feduniak once told Phil that when using Phil’s technique, he came in third at the WSOP. In his book, Phil shares his methodology forwinning poker tournaments. His book can be purchased at www.cardplayer.com. Phil is about to release a DVD, as well. In Masters of Poker: Phil Hellmuth’s Million Dollar Poker System, Phil explains how to win a no-limit hold’em tournament. He is excited about the DVD because for about $ 10, players with different skill levels can learn some of Phil’s winning secrets. He believes this DVD will be a classic that will retain its value in years to come. Because the DVD is full of valuable information for the serious poker player, Phil and Card Player have teamed up. Phil believes Card Player magazine is a great educational tool for the earnest poker player. Therefore, purchasers of his DVD will also receive two free issues of Card Player magazine. Phil also has other videos/DVDs in the works, which will be available at www.cardplayer.com as soon as they are released. Anyone who wants a piece of Phil can find him playing at www.ultimatebet.com, in small games using the unpredictable screen name of „PhilHellmuth,“ where he is happy to chat with players. He also plays in the high-stakes games, where he is probably a bit less talkative. For more information about Phil, visit his website at www.philhellmuth.com. During the PartyPoker Million III cruise, I walked up to Phil while he was playing in a high-stakes poker game in order to plan some time for an interview. I observed two people walk up to him at different times to ask for his autograph. He graciously shook each gentleman’s hand, asked him his name, and then wrote him a personal message. One of the fans asked him to also sign his Oasis hat, and Phil courteously agreed. Later, Phil explained that his responsibility to the poker world requires him to be hospitable when he’s away from table, even if someone wants an autograph the moment he busts out of a tournament. The day after this conversation with Phil, I phoned Chris Hinchcliffe, who had won his entry in the PartyPoker Million III with USD 25. He was the chip leader going into the WPT final table with USD 1.7 million. We agreed to meet, and when he walked into the room, I immediately recognized that he was the fan who eagerly asked for Phil’s autograph on his book and hat the previous day. Hinchcliffe thought that the day before, when he was a poker nobody, Phil had behaved like a class act. I got the two of them together before the final table began and Hinchcliff asked for Phil’s advice. Phil was friendly and encouraged the poker novice to just play his own game, not someone else’s game. Hinchcliff told us that he read Phil’s book and had so much respect for not only his play, but the way Phil had treated him. At the final table, Hinchcliff took third, winning USD 441,463 and singing Phil’s praises. He said that Phil was his favorite player and he was thrilled to have played with him. Besides being the best person, father, and husband he can be, Phil’s goal in life is to become the best poker player of all time in all categories. With nine WSOP gold bracelets, he is off to an impressive start.